An alternative rock band from New York, United States. Their music is a blend of many styles, most notably hip-hop, rock and blues, and their songs deal with everyday life in New York: drugs, organized crime and politics. They are best known for their hit Scooby Snacks, which featured samples from films by Quentin Tarantino. In their native US, they are regarded by some to be a one-hit wonder. However, the band gained a considerable following internationally, notably in northwest Europe, especially around the release of their first two albums in the late 90s. In their native US, they are regarded by some to be a one-hit wonder. However, the band gained a considerable following internationally, notably in northwest Europe, especially around the release of their first two albums in the late 90s. The band was formed in 1993 by Hugh Morgan ("Huey", vocals, guitar), Brian Leiser ("Fast", keyboards, bass, trumpet, harmonica) and Steve Borovini ("O", drums). In 1999, Borgovini left the band (after he, in the words of Huey: "went a little crazy and departed to Peru") - finding later success with Needledrop (http://www.myspace.com/needledrop) and CC Jones(http://www.ccjonesandtheforgotten). He was replaced by Maxwell Jayson ("Mackie"). Mackie was then later replaced in 2003 by Mark (aka "Frank" or "The Rhythm Master") from Leicester, UK, who had previously worked with the band as Mackie's technician. Come Find Yourself, the band's first album, was released in 1995, and contained the hit Scooby Snacks, which contained samples of movies by Quentin Tarantino. 100% Colombian, released in 1998, contained slightly less rock influences. Singles included Love Unlimited (a tribute to Barry White) and Big Night Out. The 1999 album, Mimosa, mostly contained covers and different versions of earlier released tracks; but the 2001 Loco contained all new songs, including the hit single Loco, and a more relaxed sound. Their next album, Welcome To Poppy's, was released in 2003 and had a more upbeat, more rock-influenced sound. They are currently working on a sequel to their 2000 Maui Film Festival debut, Maui Homicide 2000. The album Livin' In The City was released in 2005 and contained the single Mi Corazon. Huey wrote a regular wine column for the British magazine Mondo from 1999 to 2000. Huey appeared as guest presenter on UK comedy music panel show Never Mind The Buzzcocks on 17th April 2006. 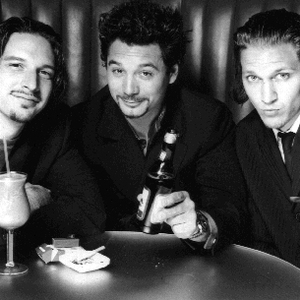 The Fun Lovin' Criminals appeared as the headline-act at the 'May Ball' party at the University of Derby on 12th May, 2006, and at the University of Hull 'End of Year Ball' the following day.